At an early-morning procedure at Shadyside Hospital in Pittsburgh, Anthony M. DiGioia (center) uses HipNav, a computerized navigation system he developed in collaboration with Carnegie Mellon's Center for Medical Robotics and Computer-Assisted Surgery, to replace the hip of a 50-year-old Pittsburgh man. 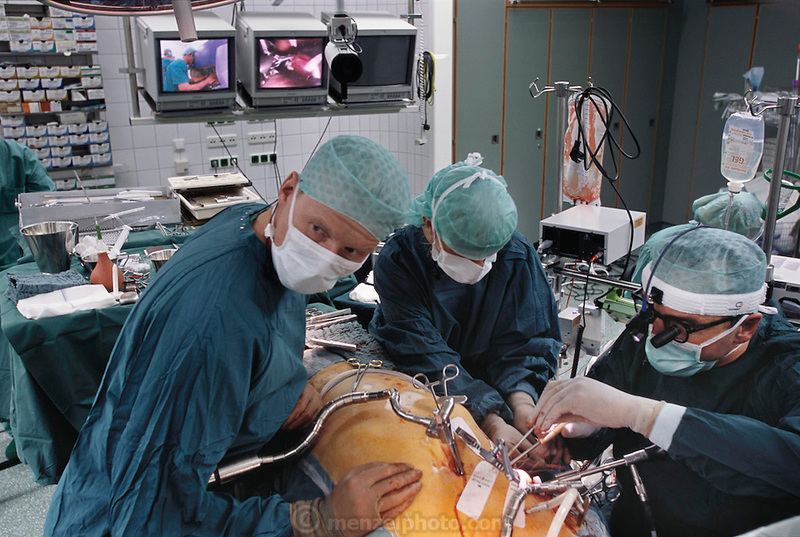 Aligning the new hip properly, DiGioia explains, is necessary to avoid surgical complications. Here DiGioia, a former robotics student, uses the intra-operative guidance system and a simple "aim and shoot" interface to emplace the new hip. Robo Sapiens page 177.